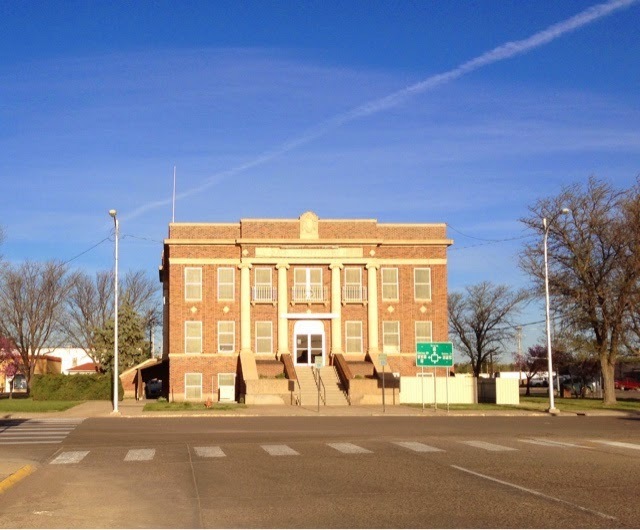 This is the first big town headed east from where I stayed on the western edge of the Oklahoma Panhandle. Welcome to Boise City, OK. It is a very small town. The town square resembles the square building in Clayton County Alabama after leaving my cousin in Cartrrsville, Georgia headed for Mississippi. You may have noticed I am 12 hours off of publishing my daily blog. This is because for days now I have had no cell service where I've camped. You also may have noticed that I spell out Srate names rather than use the abbreviations. This is because of the ever increasing viewers from outside the U.S. That may not easily convert the state abbreviations. On with my trip. After driving over an hour to Bousie City there is no McDonalds for many more hours away on my trip in Kansas, so I get gas at Loves and type my blog inside at the Subway sandwich shop. I'm in here at 7:30 so it's breakfast time but the people coming in to buy are farmers who are taking lunch sandwiches to go. I guess they stop in for their lunch before heading out for the day. The woman making sandwiches knew every single person that came in for over an hour I was there. I call this the Land With Roads Without Shoulders. 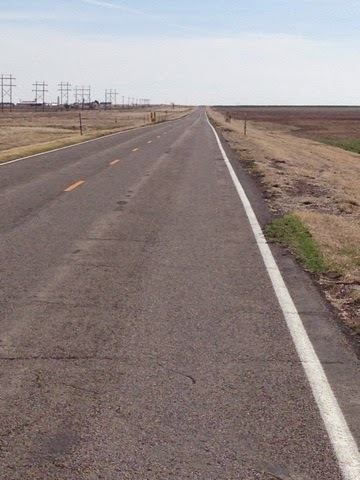 I am on US 54 headed northeast towards Dodge City, Kansas and when you leave towns the shoulder on the road is gone. You don't have the extra room to stray and the speed limit here in this highly rural area of the country on this two lane road is 65 mph. What is also different here is you drive towards the curvature of the earth. You eventually see trees that usually means a town ahead or a farm. 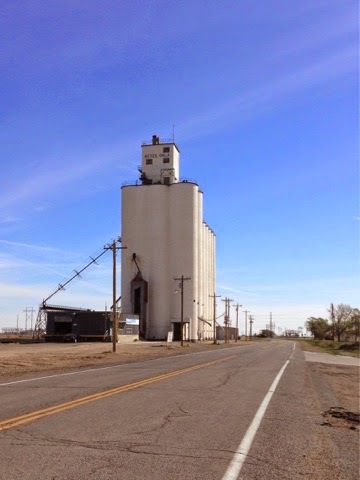 Every 10 miles or so there is a town/hamlet with a grain elevator. You will see the tops of them first as you drive the earths curve. Another thing you see is the circular watering systems. For years flying over the Midwest I would see the circles. This one is a half circle as the spout for the water connection is near the road. 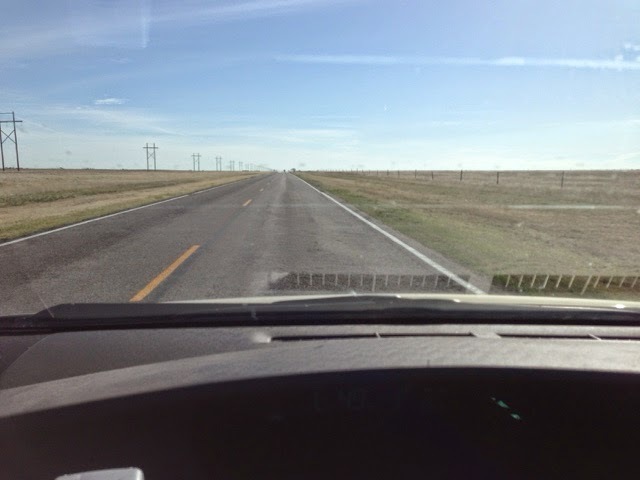 This goes on for miles and hours of driving but I am loving it. I love rural America. People are friendly and wave and are polite and honest. What more can you ask for. 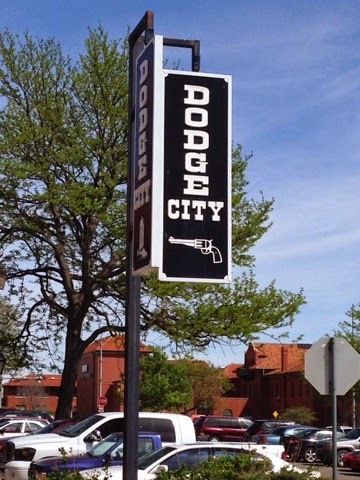 I arrive in Dodge City and my first task is to check with the Toyota Dealer for an impromptu oil change and tire rotation. A visit to the visitors center here in Dodge City and I get some information and sign their book. For them its all about numbers of people that come in so always write something. 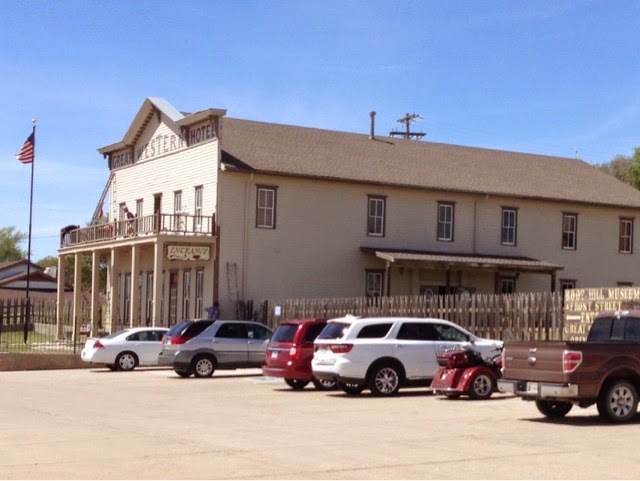 Across the side street is Boot Hill Hotel that is a gift shop and entrance to Boot Hill Graveyard and reproduction of Old Dodge City that houses a museum. 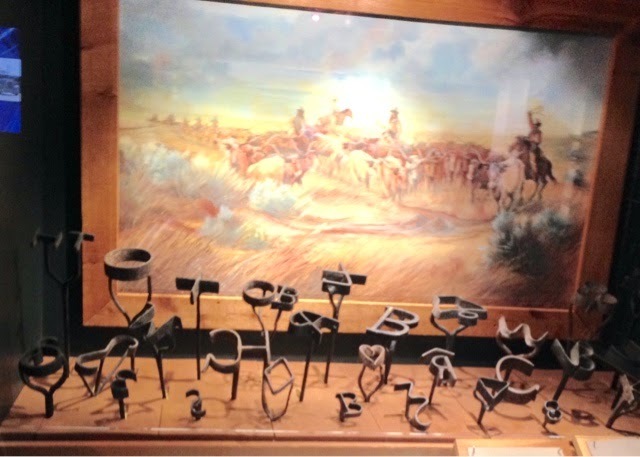 The $10.00 is worth the look but when you see the museum items it is well worth the cost for the maintenance. 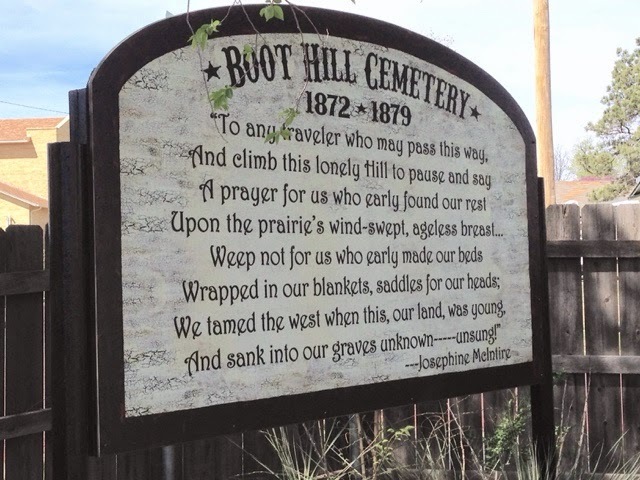 They have these plaques that explain the colorful life and death of those buried in Boot Hill. It is not a hill as much as it is a knoll. 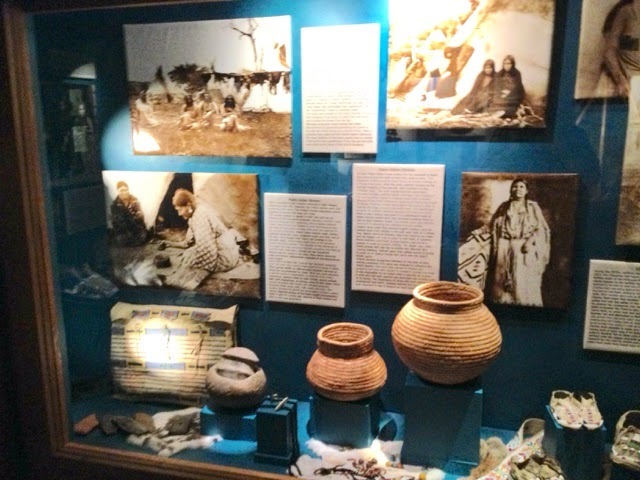 The museum on the hill has Planes Indian information. 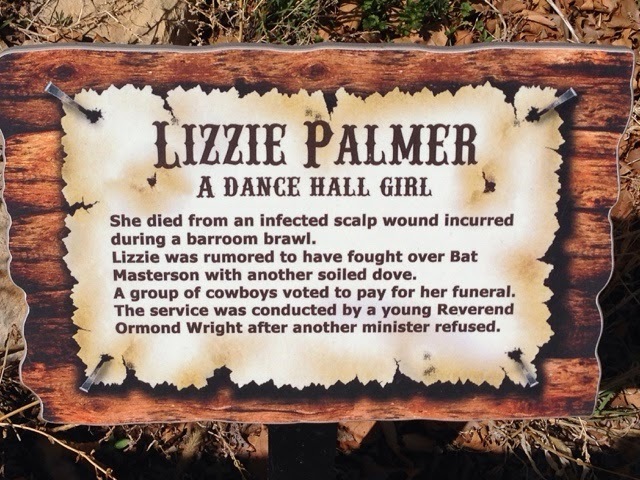 And cowboy movie information. 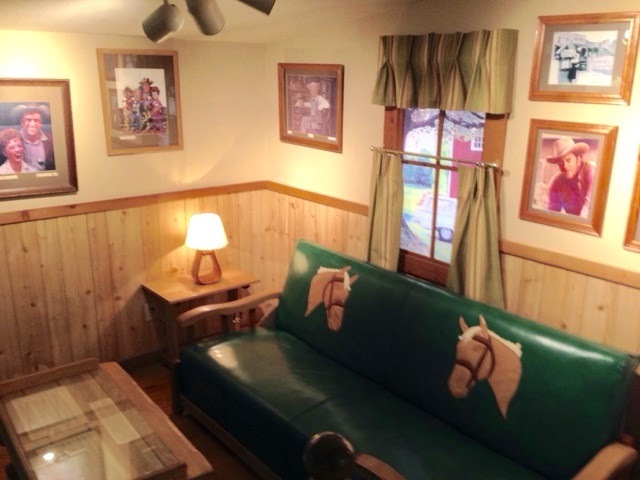 Lots of cowboy movie stars have been here. 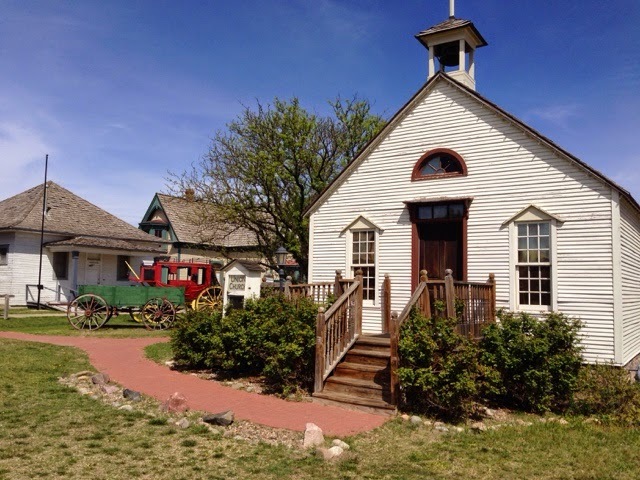 The lower museum is one continuous building built as a reproduction of 1870's Dodge City. You enter to the left to find a museum and store all in one. 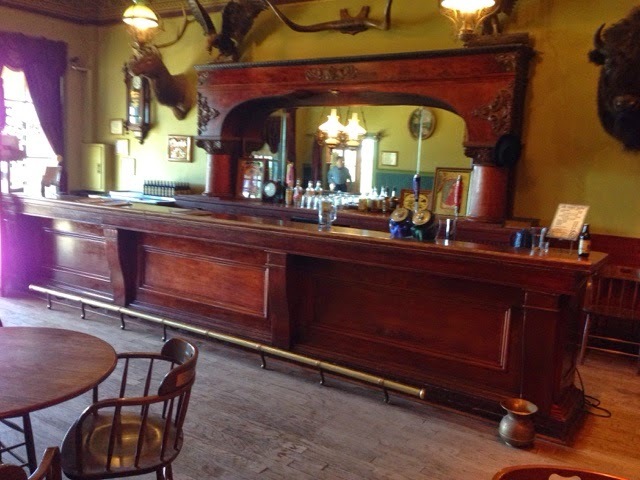 Next is a working bar that you can get a beer or sarsaparilla. They also have a man who plays the piano. The rest is archives of many items. 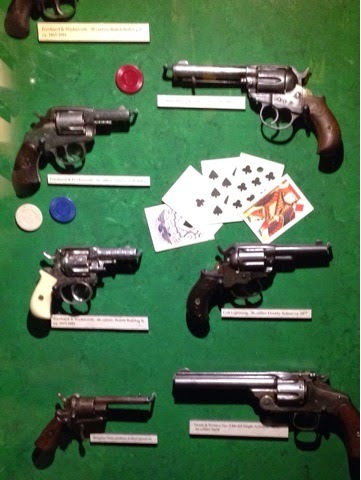 Since guns played a large role in Dodge City there is a very large display of them. The museum has a bank, doctors office, and so on. All very interesting. At the far end is the original church and a house and blacksmith shop. 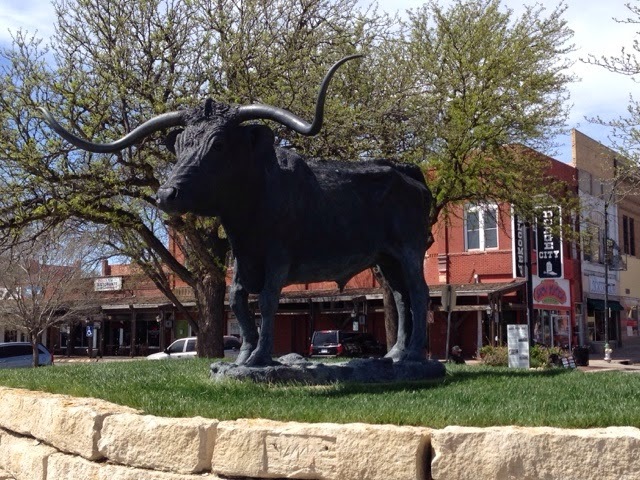 The visitors center had suggested I walk downtown 4 blocks. 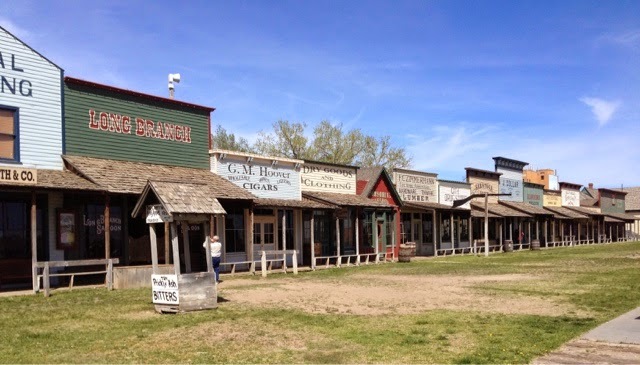 Stuck to the right side of the Boot Hill complex and across the street from the visitors center and across another street from the old town buildings is an Applebees Restaurant. The lot must have become available and it was built. It is out of place and doesn't fit. I don't mind Applebees and I do visit them but I sure wish they had a different facade as it would be a lot more welcoming to visitors. 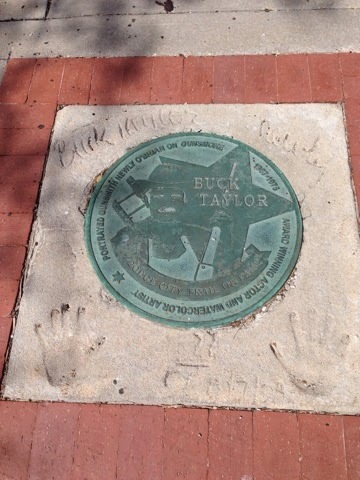 Here and there on the sidewalk downtown are walk of fame markers of cowboy greats from movie and television. It's a nice touch and some are personalized. 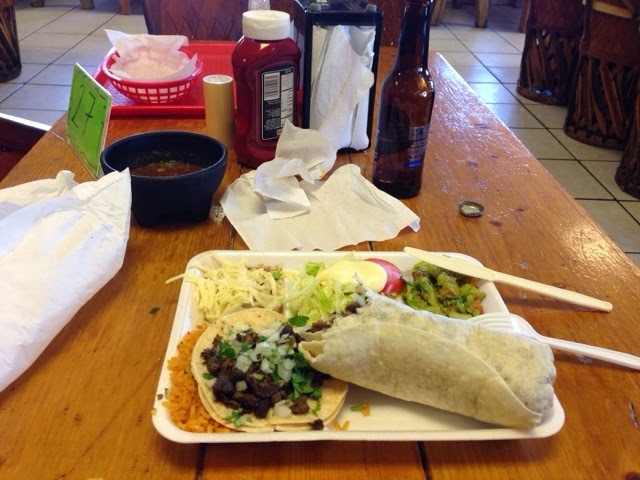 Before my 55 mile drive to a County Park Campground near the Oklahoma boarder for the night it was getting late and I stopped into this local mexican restaurant where only the local Mexicans seem to go and had a meal. It was a taco and burritos plate and it was just ok. No recommendation here. Got to my camping location for the night. It was $10.00 but no envelopes were available so I made one from lined paper write my info on it and picked a spot and dropped it in the drop box. 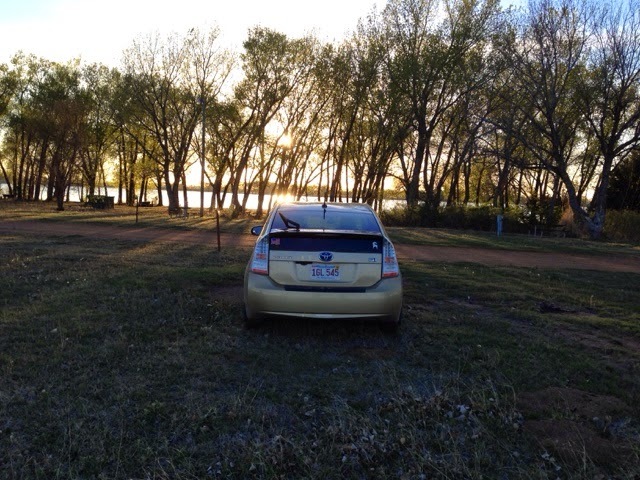 The place was nice but the campground in the Panhandle was nicer.